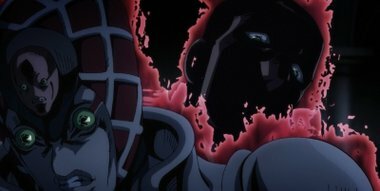 Bucciarati finds out that the boss's true motive is to eliminate Trish because of her relationship with him, causing him to betray the boss and save Trish. Meanwhile, Giorno feels something bizarre is going on as they waited for Bucciarati's return. The boss's Stand, King Crimson rises.